Originally trained in the performing arts, designing gardens is Franchesca Watson’s second career. 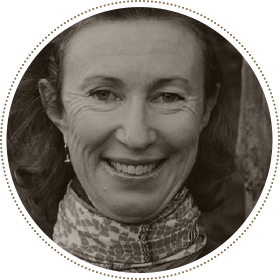 Since training in horticulture and garden design in the ‘80s, Franchesca has undertaken commissions all over South Africa and has collaborated on projects overseas. Initially developing a landscape contracting business, a decade ago she streamlined her practice to concentrate on superb design of gardens and skill in guiding the installation thereof. Franchesca is known for her smooth and sophisticated design, avoiding gimmicks, her mantra being to create timeless and sustainable gardens that suit the site, architecture and dreams of her client. The gardens have a serenity and grace, whether traditional in style or modern. Recent commissions on a larger scale have been Keurbooms Cottage in Plettenberg bay for a London based businessman and Klein Dasenberg farm in Franschhoek for an international investor of Indian origin. 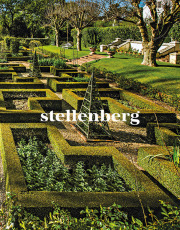 She is also continually engaged on a spectrum of domestic gardens throughout South Africa. Franchesca writes a monthly gardening page for the Conde Nast House & Garden magazine and has recently written a book on Stellenberg Garden, for which she has designed portions over the last 15 years. Franchesca is based in Cape Town.